Dates are a good source of vitamins, minerals, antioxidants, flavonoids and provide a lot of health benefits. 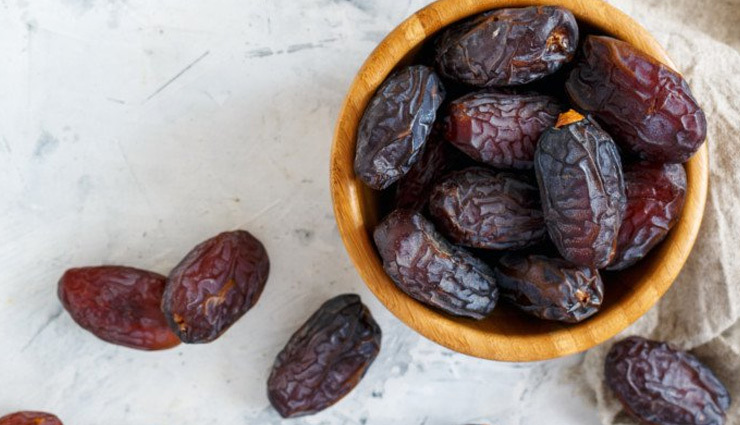 Easily available, dates can be consumed both in the dry or natural form. Fried dates are a delicacy in many countries around the world. It is recommended to eat this superfood every day to increase your energy. Read on to understand what natural beauty benefits do dates give us. Dates are a good source of Vitamin A (an antioxidant) which protects your skin cells from any external damage and gives your skin a natural glow. They have vital nutrients like vitamins, minerals, energy, sugar, fiber, calcium, iron, phosphorus, potassium, magnesium and zinc that provide numerous benefits to your body and skin. 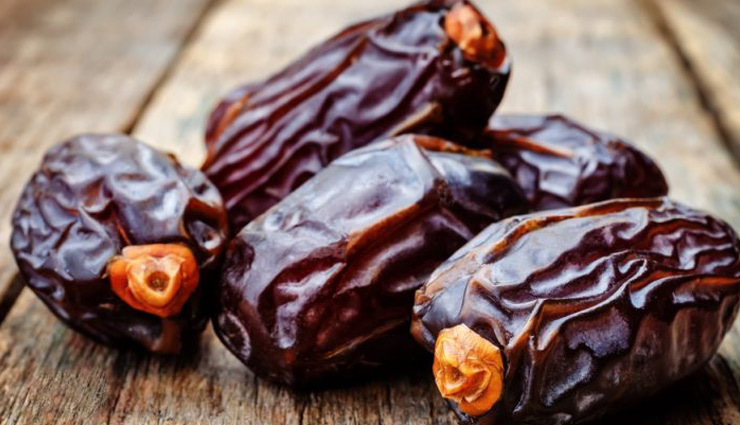 By eating two dates every day you can eliminate your dead and dry skin cells. Dates aid in the treatment of hair loss because of the presence of vitamin B and iron in them. It helps to provide proper nourishment to your gorgeous mane and also protects your tress follicles from damage. Dates not only prevent hair loss but also make your hair grow stronger. Simply massage some drops of date oil on your scalp twice a week. Date oil contains Omega 3 fatty acid which provides complete nourishment to your hair and scalp. It prevents many hair problems such as brittle hair, split ends, and dandruff. Dates are a rich source of Vitamin B and play a vital role in treating various skin problems. To get rid of acne scars and stretch marks, mash 4-5 dates and add honey to it. Mix them together and then apply it on the affected areas. Regular use will help in fading away all the scars and stretch marks over time.